Kami Thordarson has worked in many roles as a public educator—from classroom teacher to professional development and curriculum designer. She enjoys engaging students and teachers with learning experiences that focus on authenticity and relevance. Thordarson is involved with the design thinking movement in K12 education and, in her current role as an administrator, works to lead a district in integrating technology into learning and innovating practices that fully move students into more personalized experiences. She values the challenge of helping school leaders develop real-world classrooms where teachers facilitate and lead students through work that empowers them to make an impact on the world. 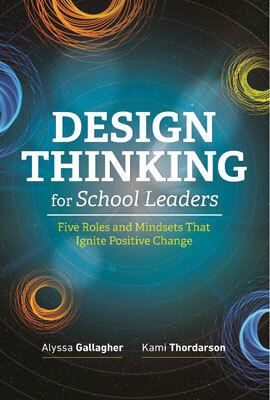 The book explores the changing landscape of leadership and offers practical ways to incrementally reframe the role of school leader using Design Thinking.